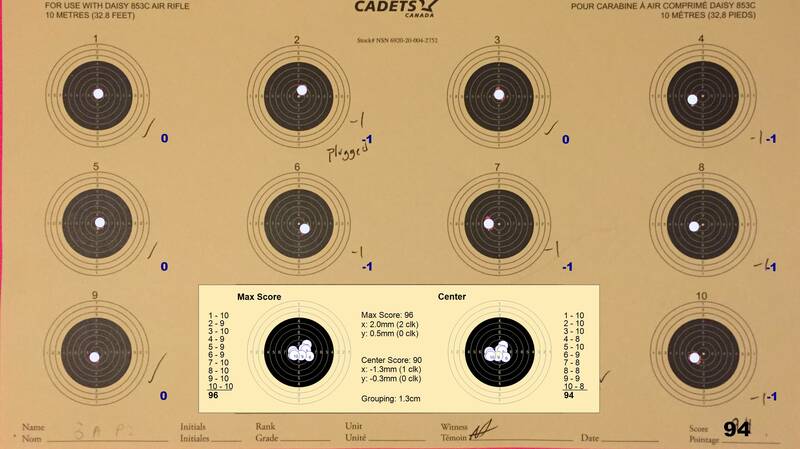 The Canadian Cadet Movement's Air Rifle is the Daisy / Avanti 853C .177 Caliber Target Air Rifle. 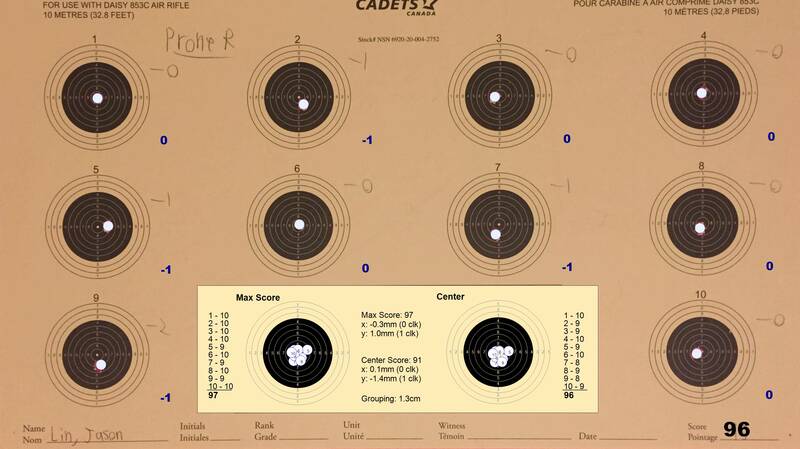 This Daisy model was created specifically for the Canadian Cadet Movement. Because of the low muzzle velocity, the Daisy 853C is not classified as a firearm under the current Federal Gun Legislation. Our training always teaches to the higher standard, so even though the 853c is not a firearm we treat it as such. 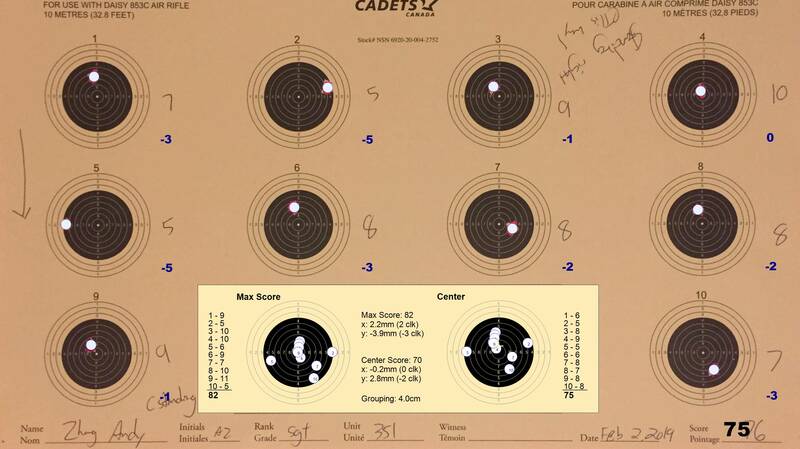 Following all the safety rules and guidlies of safe firearm handling (safety equipment, example glasses). 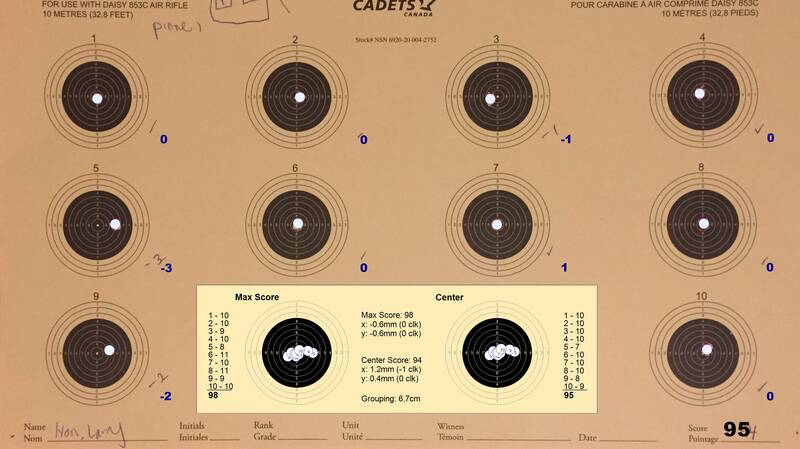 A qualified Canadian Forces Range Safety Officer runs the range to a standard that is at least equal to the civilian standard, but in most cases excedes it. 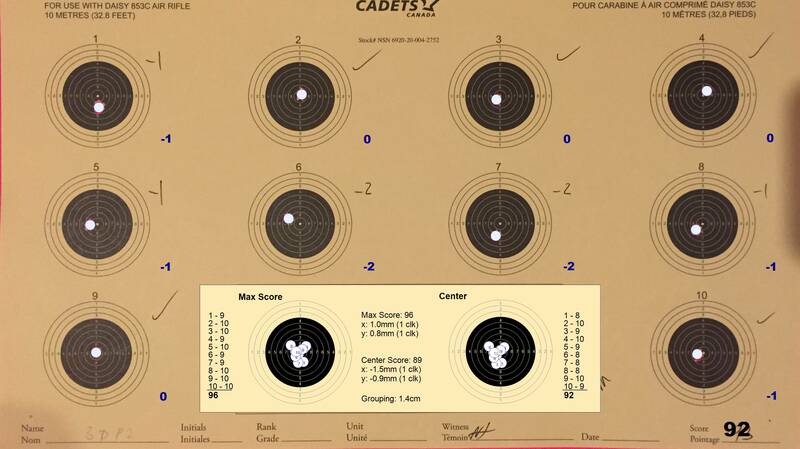 Air rifle ranges can be setup virtually anywhere. We routinely setup on our parade square, and in the field during Field Training Exercises. 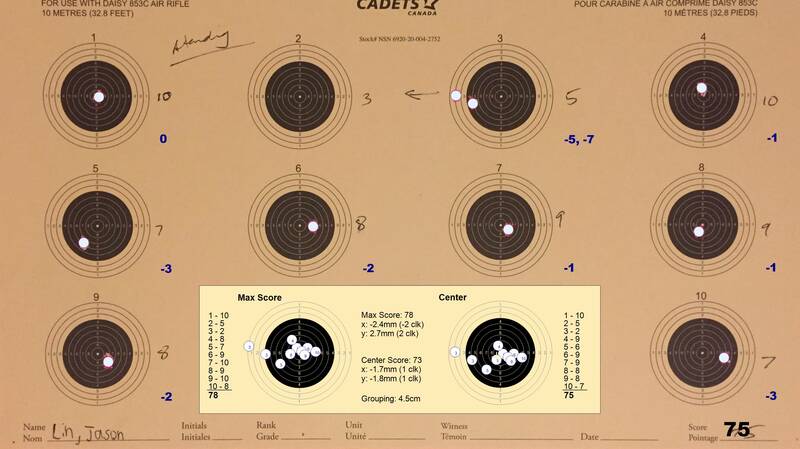 The range is configured in 1.5 metre x 10 metre lanes. 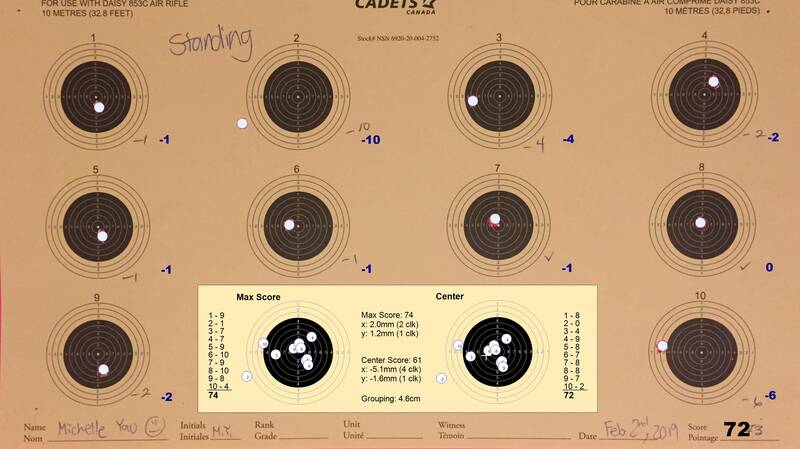 Cadets fire from the prone (laying down) and standing positions. 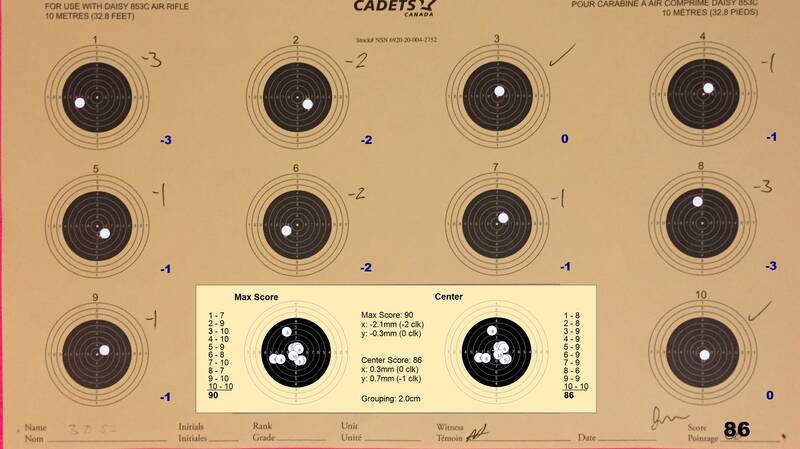 Qualifications are based on shooting total of ten pellets onto two targets.